Intellect Systems were engaged to analyse the port outloading control philosophy in order to reduce shiploading times and increase process efficiency. This involved the review of existing software algorithms and operator shiploading processes to optimise the sequencing of tasks in the plant. Our clients objective was to improve overall plant performance and thoughput to the shiploaders. This was to be achieved by reducing the duration of time that the shiploaders were waiting and ready to feed onto the ship but product is not available from the plant. 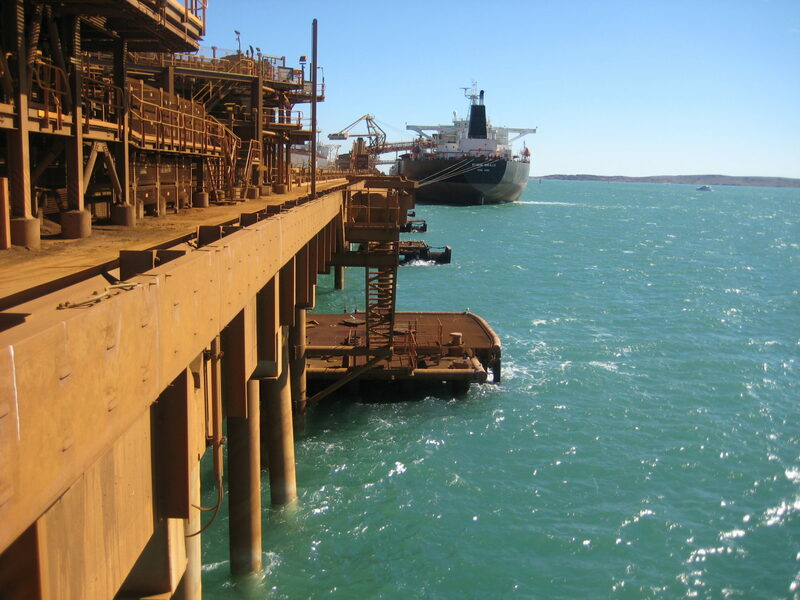 The challenges faced with this project were interpreting and modifying complex software relating to equipment sequencing, conveyor ore, tracking and processing algorithms. Understanding the mechanical constraints and shiploader operator control characteristics was a key factor in determining where the benefits could be unlocked from the current process. Our engineers leveraged off a collaborative design process to mathematically model shiploader filling patterns and travel times to target destinations (or ship hatches). We also analysed the scenarios where existing models were not accurate and adjusted them to cater for typical operational methods. Part of this process involved spending time onboard the shiploader with the operators in order to understand the shiploading process and determine best practices, which then provided a basis for the software models. Data analysis in the months following the improvements showed a reduction in feed wait times by up to 15%. This significantly improved the utilisation of the shiploaders and unlocked additional exporting capacity for the port.